Stock # 11108, Automatic, 17540 mi. A beautiful Silver Sky Metallic exterior partnered with an ash interior with soft, premium leather seats on this 2017 Toyota Sienna Kneelvan XLE. 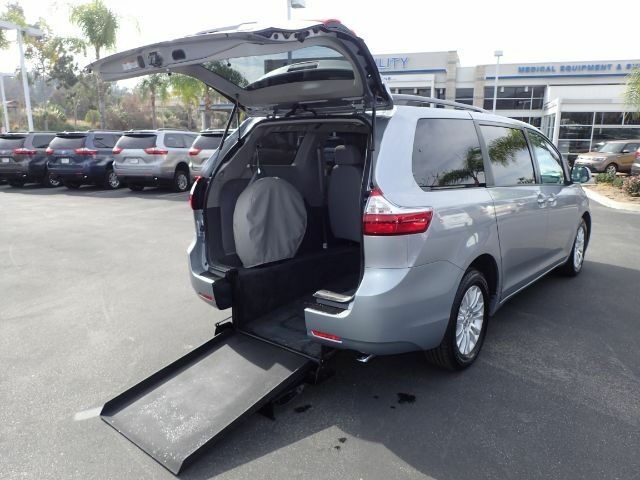 Equipped with an automatic 30" rear-entry ramp conversion by Freedom Motors. Easy in & out access with a push of a button and avoid having your vehicle parked in with rear access. Rear sunshades help filter that hot California sun but not miss the stars with a moonroof.